Made of durable, high-tech plastic in bright orange for easy visibility on the flying field. 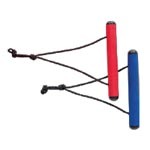 Foam handles are lightweight and color-coded. 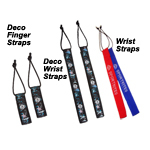 HQ-Padded Stunt Kite Wrist Straps. 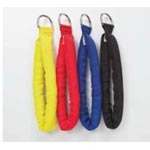 Available in Pink , Yellow, Blue, Black or Red Mix and match colors to make your own right and left lines. HQ Pro Sport Kite Line Winders. Full 10 inch size, includes shock cord tie-down helps keeps line from getting tangled in your bag. Colors include Blue, Green, Yellow, and Orange. Best Winder we have seen in a long time!